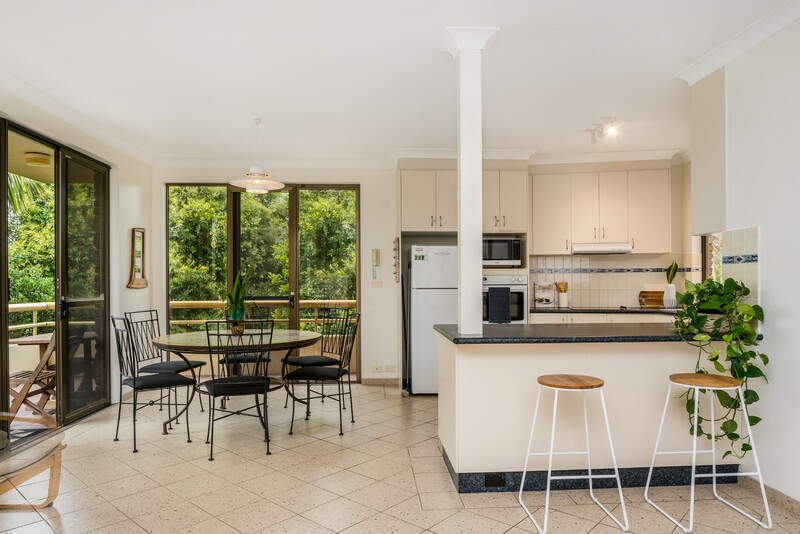 Byron Breeze 5 is superbly located 150m from the beautiful sand and surf at Clarkes Beach and The Pass and is close to Tallow Beach on the southern side of Cape Byron headland. 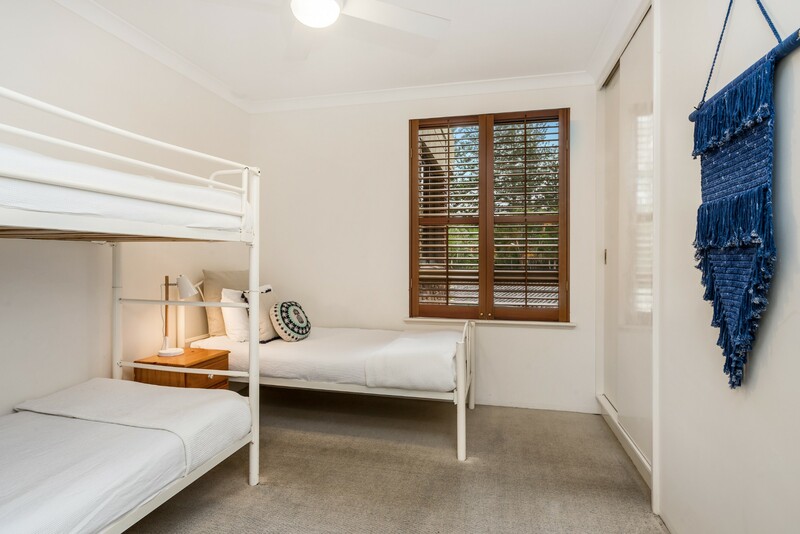 This Byron Bay holiday apartment has 2 bedrooms and 2 large bathrooms (one with a bath) to accommodate 5 guests. It has the added benefit of a private balcony and secure undercover parking for one car. Byron’s independent shops and cosy cafés are a short stroll, providing breakfast through dinner and an informal nightlife. The famous ‘Beach’ cafe is a short 4 minutes stroll to enjoy great coffee, meals and waterfront views. After a fun day on the beach, whale watching or climbing to the lighthouse, Byron Breeze 5 welcomes you home. It offers a very comfortably furnished open-plan living area, modern kitchen and private balcony for sundowners. Designed for a relaxing indoor-outdoor lifestyle, Byron Breeze 5 has a light and airy open-plan living area with floor-to-ceiling windows providing ample natural daylight. It flows seamlessly out onto the private balcony for sunset drinks and quiet reading. Two cushioned sofas and armchairs allow you to put your feet up in front of the Smart flat screen TV or play your music. 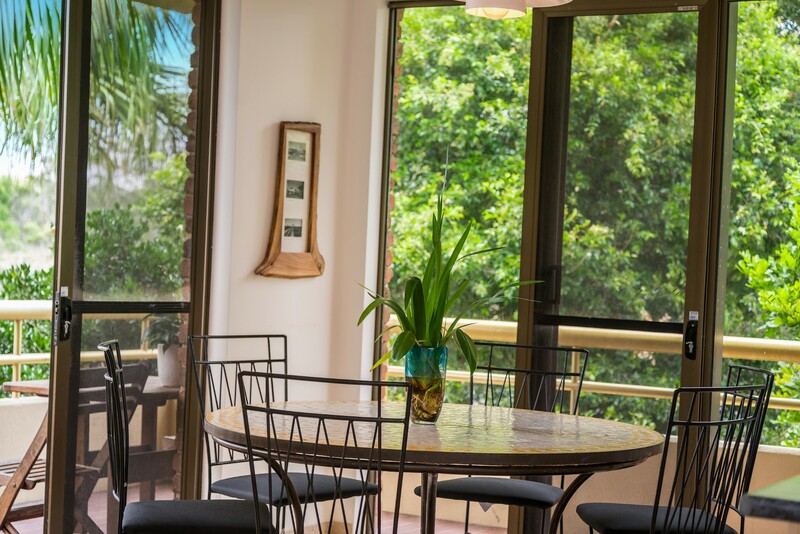 There is a bright breakfast/dining area with glass table and chairs for casual family dining. 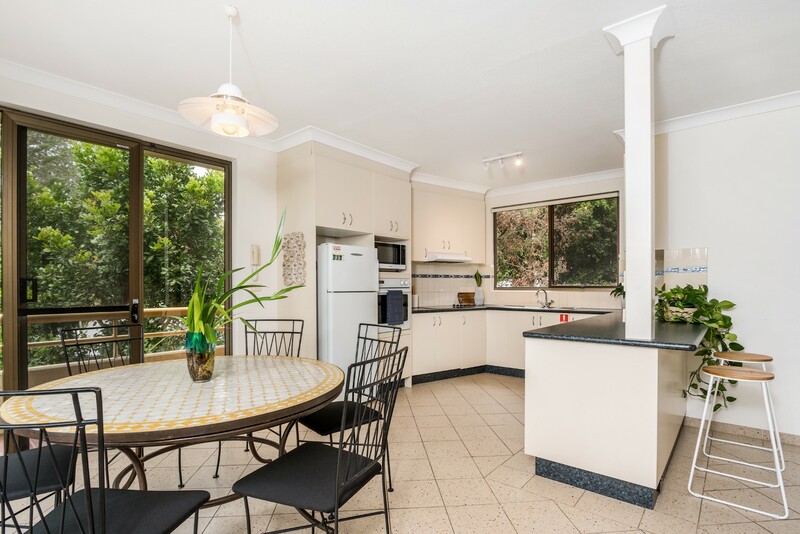 The open-plan U-shaped kitchen is fully equipped for preparing a quick Nespresso coffee or snacks and meals with a full-size refrigerator, microwave, electric hob and breakfast bar with two stools. Tile floors extend into the dining area. 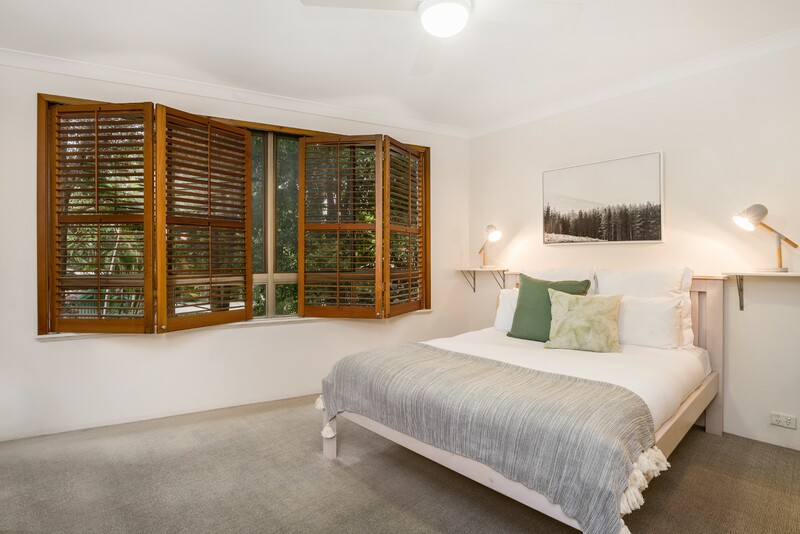 Both spacious bedrooms have ceiling fans. 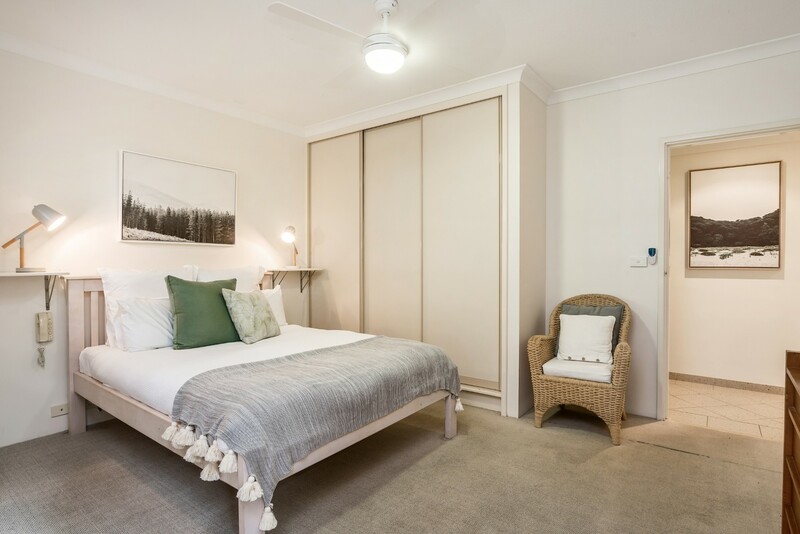 The master bedroom has fitted wardrobes, an ensuite bathroom and a flat screen TV. 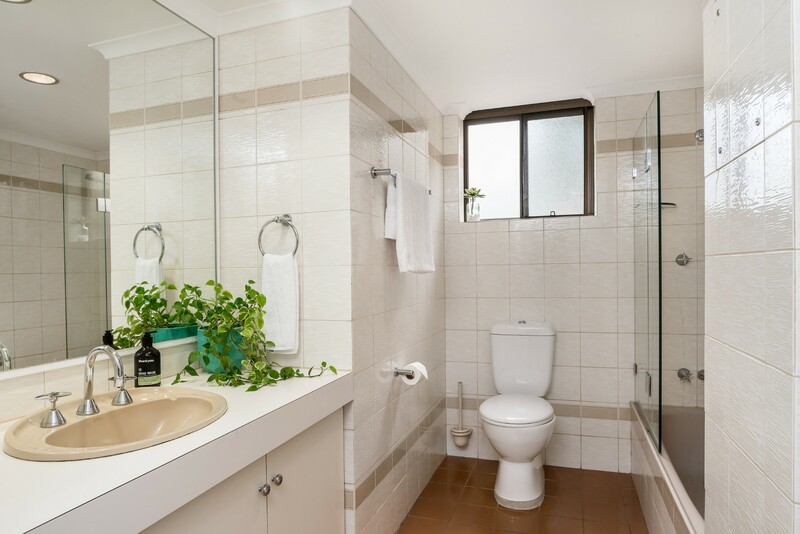 Two bathrooms: one ensuite with huge shower and one shared bathroom with shower and laundry. 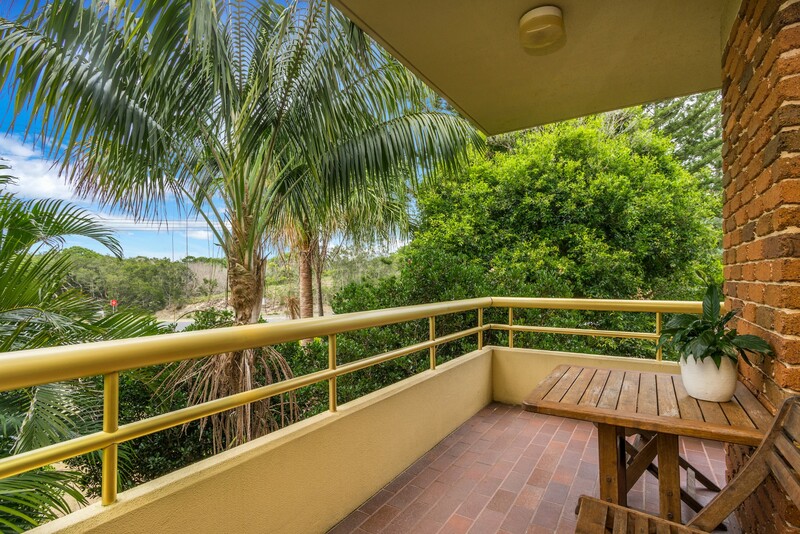 Relax on the private balcony of this holiday apartment in Byron, which enjoys privacy with an intimate natural green canopy. 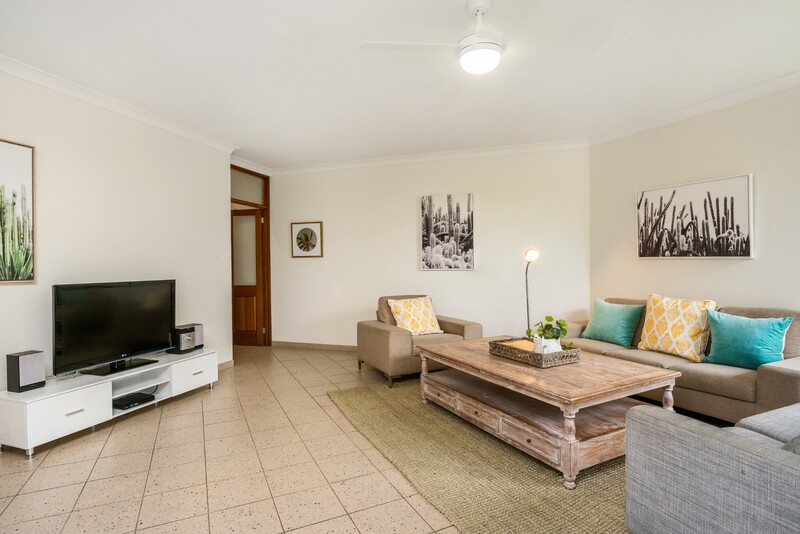 Located on Lighthouse Road at the junction of Tallow Beach Road in Byron Bay, Byron Breeze 5 holiday apartment is 150m from the stretches of fine golden sand and aqua blue water that Clarkes Beach and The Pass are known for. The iconic Tallow Beach is also a short walk away. 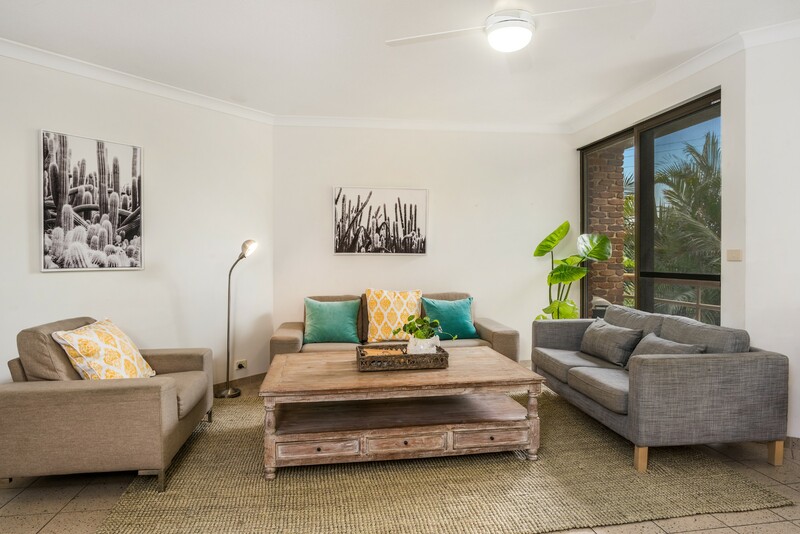 Set in a sought-after location, this Byron beach apartment is conveniently close to everything. Leave the car in the garage and head out on foot; the bustling town of Byron with its independent boutiques, cafés, farmer’s markets and gourmet food stores is just 10 minutes’ stroll away. Enjoy fresh sea air and stunning coastal views as you hike up Lighthouse Loop or try the rainforest walk and spot whales and dolphins from Cape Byron Headland, Australia’s most easterly point. Wildlife abounds in this area, especially in nearby Arakwal National Park, which is known for its birds. Inland villages, like Bangalow, provide a scenic destination for lunch and shopping in quaint hamlets where time stands still. The lovely beaches, fun town, and friendly people...oh, and our great apartment. Highly recommend this place. Comfortable, spacious, beautiful and very relaxing. We had a wonderful time and will be back. Thank you for a wonderful stay, we thoroughly enjoyed it. The place was clean, beautiful and provided for a very relaxing stay.